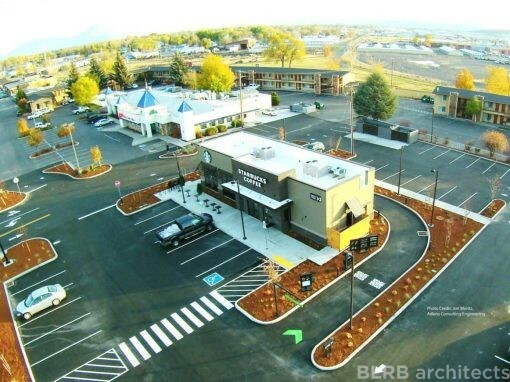 After the successful completion of our Starbucks drive-through project in Klamath Falls, our client came back and asked us to design another new retail building on their commercial property. 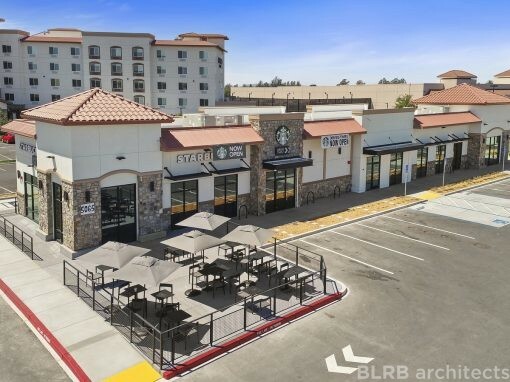 We selected architectural materials such as the masonry veneer, fiber cement siding, and metal awnings to match the exterior character of the newly constructed Starbucks building. 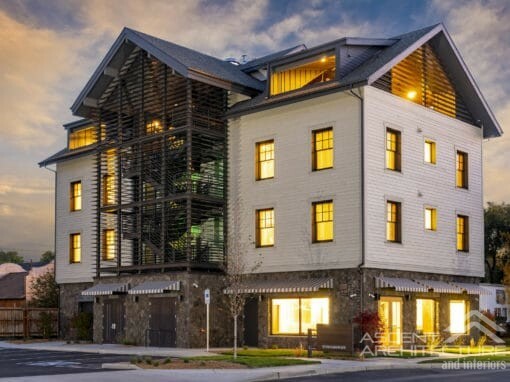 We selected a warm gray color for the interior of the retail shell and managed the project through all design phases.